Health buffs, athletes, and sports enthusiasts keep all their essentials in a gym bag before heading out for training or workout. If you’re among this crowd, you’re probably doing the same thing. Inevitably, gym bags become a necessity. 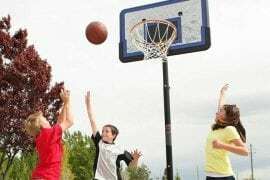 But if you want to avoid those wears and tears and make use of all the compartments, better replace your old gym bag with a fully functional one. You need to consider the material, the capacity or how much load it can hold, the compartments, the durability, and the style. 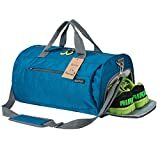 There is a huge stash of the best gym bags on the market, but you need to look closely to find what design suits you best. The striking feature you’ll probably notice is the minimal design. There are no busy prints but only functional pockets and a large compartment for all your essentials. 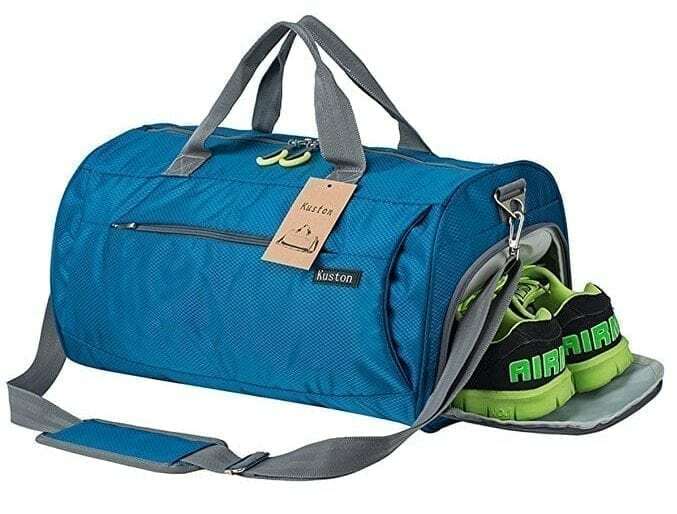 If you are a minimalist who wants to settle for a heavy-duty gym bag, this one from MarsBro must be the one you need. This is made from anti-tearing and 100% polyester fabric with PVC coating that features a durable quality with excellent resistance to water. 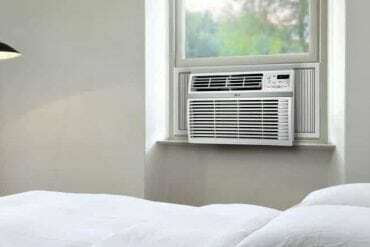 Apart from these features, there are a lot of compartments that you can take advantage of. The shoe compartment in particular, which is crafted with air holes and zippers to secure your shoes and provide excellent ventilation at the same time. The large compartment is very spacious, and the functional pockets can keep all your other items organized. And to help you be more comfortable while you carry it on your shoulder, the straps are tailored with a soft cushion. Who doesn’t know Nike? 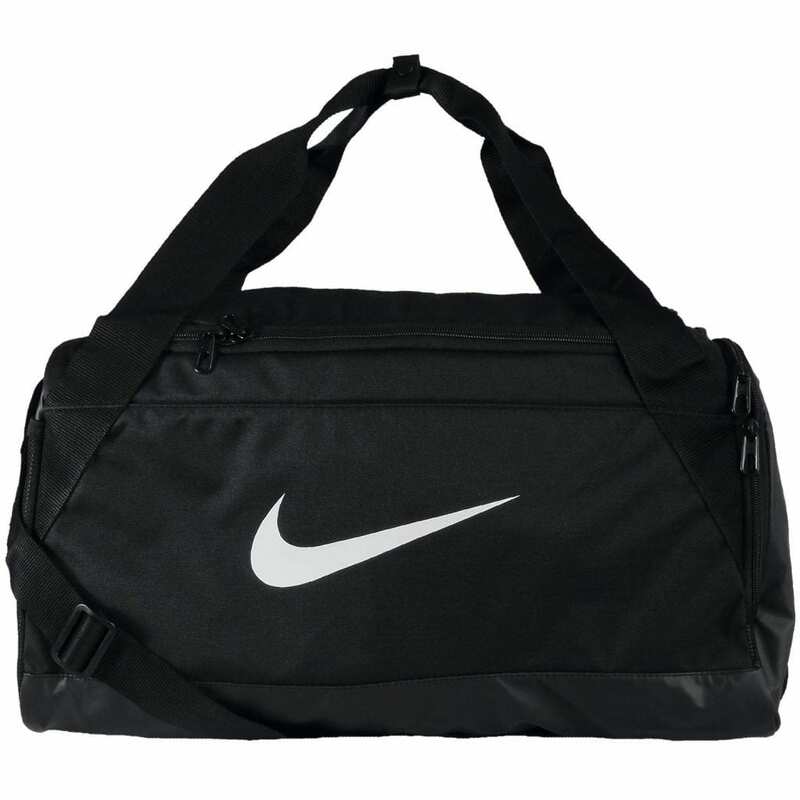 As one of the popular brands for bags and apparel, Nike also offers a huge lineup for gym bags, and one of the best picks you can find is the Nike Brasilia. It isn’t as large as the other usual gym bags. Its medium size impresses those who don’t prefer large and bulky gym bags. With its simple design, you can match it up with your sports outfit or any activewear. There pockets on the sides that are roomy and just enough for your training or workout stuff. You can pile them all up in the main compartment and keep them secure with the zippered locks. One side has a mesh pocket where you can place some of your essentials for a quicker access. And since the bottom is water-resistant, it can keep your things dry and protected whenever you place it somewhere wet. Thule carries an excellent reputation when it comes to bags. 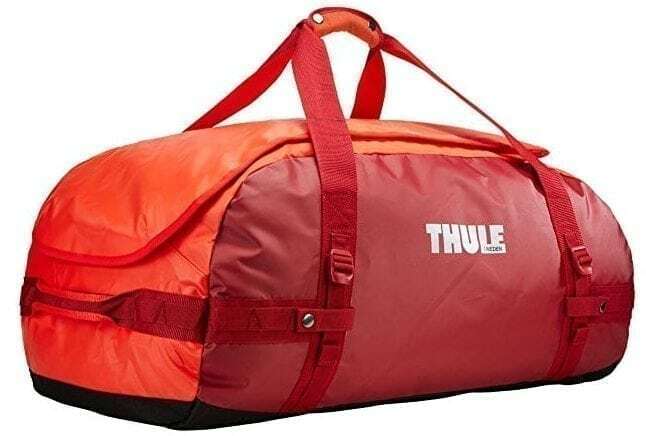 For the vast selection of gym bags, Thule guarantees a long-lasting quality with their well-crafted and intricately tailored bags. One of the top choices you can find is the Thule Chasm bag. 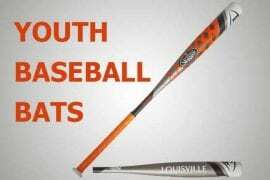 This one comes in bright red feather orange although you can still pick among black, teal, and blue. 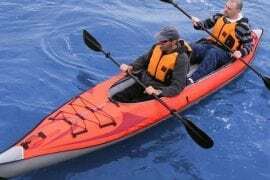 It is made of tarpaulin fabric that offers a waterproof material. It keeps all your essentials dry and fully protected. If you want to load it up with your training items, extra clothes, or shoes, it provides enough space for everything you need. 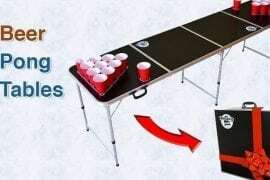 It has a large and wide opening where you can pack and unpack easily. Another trick with this bag is the removable straps that you can adjust to convert your bag into a backpack! 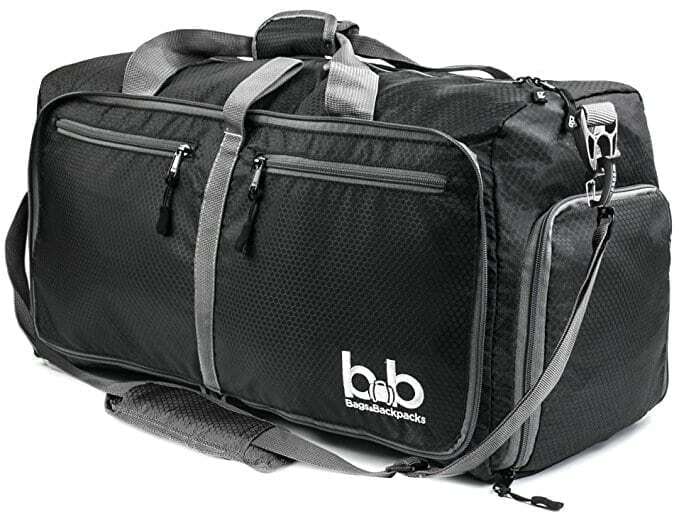 ]If you’re looking for a lightweight gym bag, you shouldn’t miss this one from BB Bags & Backpacks. The secret is the honeycomb polyester fabric which makes it lightweight but incredibly durable. With its medium size, you can take advantage of its spacious compartment and keep them well-organized with its side pockets. It isn’t too bulky, and you can just carry it easily with the shoulder and hand straps. These multiple pockets provide quick and easy access to your other stuff whether it is your wallet, keys, or phone. 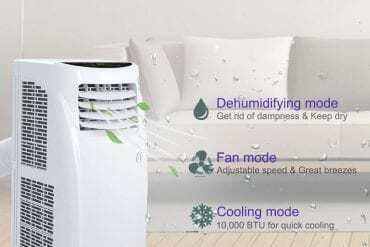 It is resistant to water and odor. Great for athletes who store their used clothes often inside their bags. As it is waterproof, you won’t have to worry about damp or wet clothes or getting through the rain while carrying your bag. All your essentials will be dry and secure. 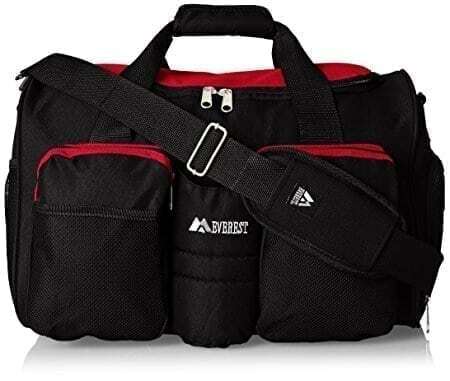 Because it is made to be sturdy, you can use this bag for your future training or workout routines for many years to come. Mouteenoo duffel bag has two access to the main compartment: one on the side and the wide mouth on top. As the brand designed it that way, packing and unpacking become much easier. You can get all your stuff inside without getting too messy. You won’t also have a hard time taking in and out everything with the multiple pockets. Made of the durable and strong nylon thread, wear and tear isn’t a problem, and the zippers are fully functional to keep all your stuff inside secure and safe. It is waterproof and holds the heavy load efficiently. Because it has inner mesh and side mesh pockets, you can make use of the space effectively. You can use them for your other valuables, or the side mesh pocket can be a space for your bottled water or tumbler. As it is crafted with a cushioned strap, carrying it on your shoulder has never been easier. 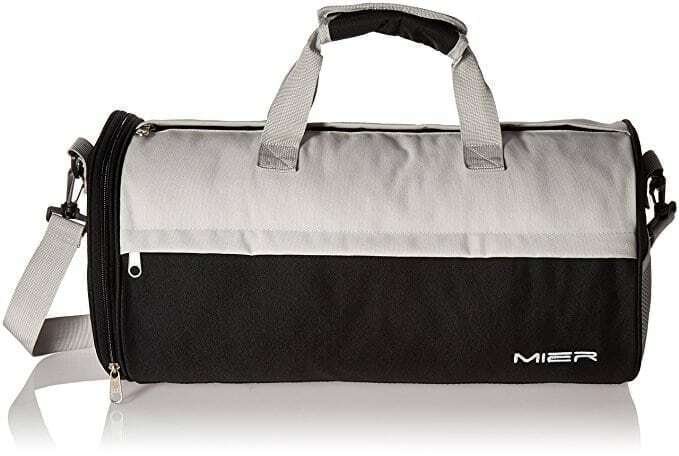 If you don’t need a huge bag for all your essentials, this Mier sports bag in small size might suffice. The compact size promotes portability and efficient storage. 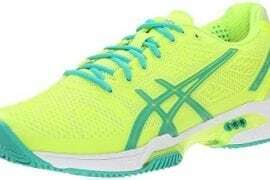 It is lighter and easier to carry whenever you head for training, workout, and other sports activities. 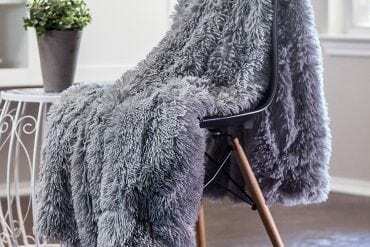 It is made from layers of polyester fabric to enhance its durability and long-lasting performance. The compartment is spacious, and you just have enough for your essentials. The buckles are durable, and the zippers glide easily to open and close the bag. It is also convenient to carry it on your shoulder with its padded strap. But if you want to carry it by hand, the velcro closure will make it much easier. And if you need another space for smaller items or for your tumbler, you can use the side mesh pocket. 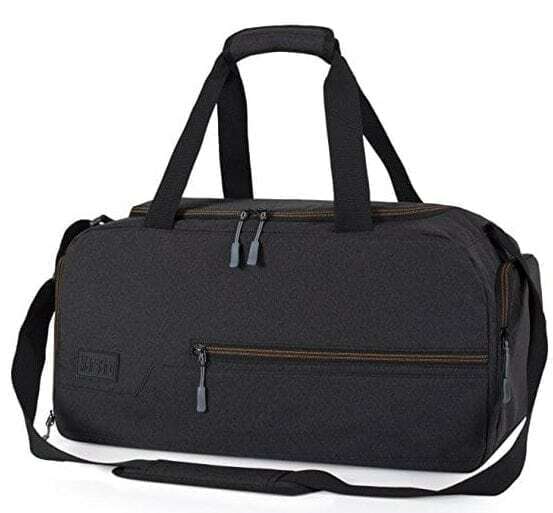 Another great find is the Kuston sports gym bag which is made from high-quality oxford fabric. This fabric enhances the bag’s quality with its anti-wearing feature and waterproof feature. It is also breathable that prevents the unpleasant smell from building up. With its roomy storage, you can fill it out with your activewear and other sports and training essentials. There are multiple pockets. There is a mesh side pocket for your other items that you want to keep within your reach. You can find one at the back for the smaller items. And if you need a space for your shoes, it’s got a spacious room as well. Everything’s easy to pack inside. The seams are carefully tailored to prevent wears and damages. To carry it more conveniently, the shoulder straps and the hand straps will help you out on that. Adidas is one of the most reputable brands for clothes, shoes, and bags. And if you’re looking for a gym bag with its namesake, they’ve got a ton in-house. The squad III duffel bag is one of this wide selection that you can check out. To suit your needs and style, it has a lot of designs to choose from! When it comes to the storage, it offers a spacious compartment for your essentials. There are multiple pockets that you can also use for your valuables like your phone, wallet, keys, and other stuff you need for your training and workout. The side pocket is made of mesh. 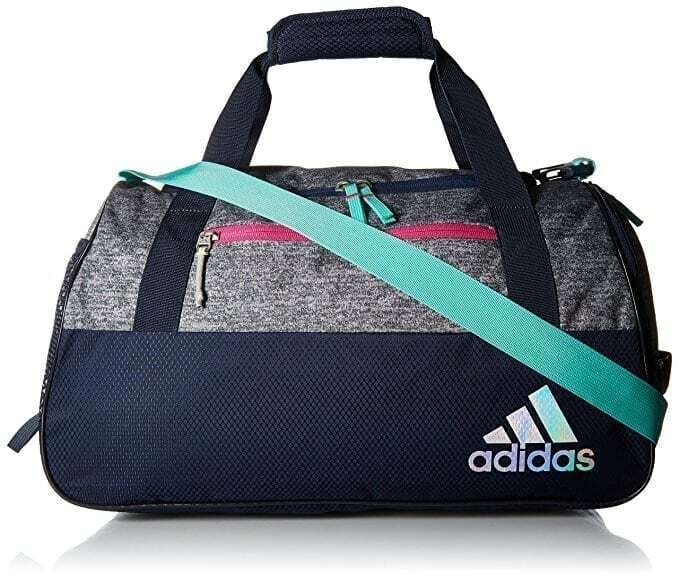 And because Adidas always ensures a durable and reliable quality with its polyester fabric, this duffel bag is something for the keeps! 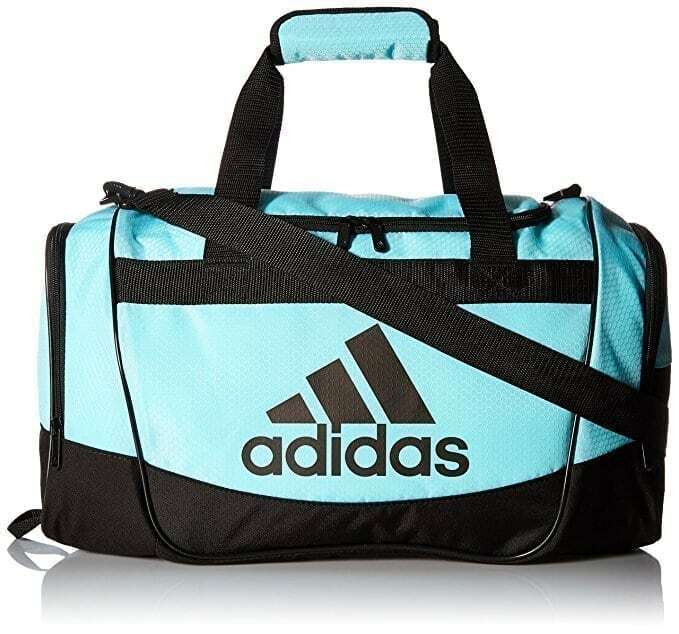 The Defender II also comes from the stunning collection of gym bags from Adidas. This is probably a great find for those who are in need of a large compartment with multiple pockets for additional storages. You can take advantage of the pockets for the essentials and smaller items. It also has an easy access to the shoe compartment. 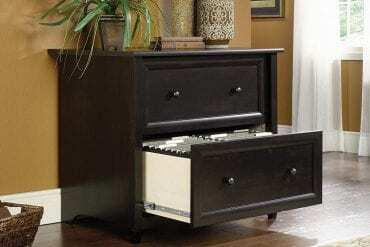 With all its functional storage spaces, you can have all your stuff organized. It is available in many different colors and designs. So whatever style of color you prefer, there’s definitely something that matches your style! It is durable and water-resistant. With its padded shoulder strap, you won’t easily tire yourself out! Of all the best-selling gym bags on our list, the Everest gym bag gets the ultimate spot. Apart from its sleek and minimal features, you can fill out the large compartment with your essentials. Crafted with multiple pockets, your other valuables have a safe and secure spot. And because the fabric is waterproof, you can always keep your things dry! The front pockets are zippered and the side pocket is also waterproof. There’s also an available holder for your water bottle. So even if you toss your bag around, all your essentials are still safe and secure! It’s made of polyester fabric, so it ensures long-lasting quality. For added comfort, the strap is padded and adjustable. MATERIAL: Gym bags vary from a wide selection of materials. Cotton, canvas, nylon, and polyester are some of the available materials that you can choose from. Those that are made from PVC coating promote durable quality and superior waterproofing. 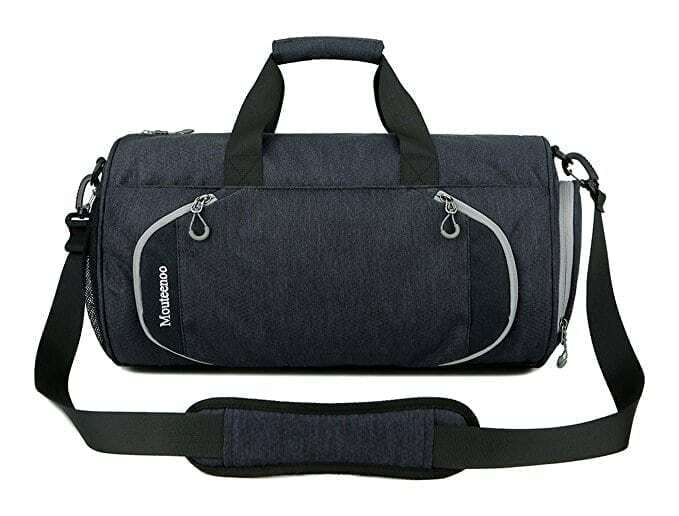 As these bags are designed to accommodate a heavy load, it is vital to choose a heavy-duty gym bag with intricately and carefully sewn stitchings or seams, straps, and zippers. CAPACITY: Another important feature to take note of the capacity. If you often carry a lot of loads, make sure you pick out a gym bag that has enough space for all your essentials. Don’t settle for a smaller size because you think you can save more with money and weight. It’ll wear out easily. The best ones have spacious compartments that you can pack up with everything you need. ADDITIONAL COMPARTMENTS: Gym bags that are designed with additional compartments promote better distribution, especially when you have a lot of stuff and you don’t want just to toss everything in the bag. These multiple pockets provide quick access for smaller items and other valuables you want to keep within your reach. STYLE & DESIGN: After getting through the essential parts of the gym bag, the next feature to decide about is the style and design. There are many options to choose from. The colors, the style, and design all vary and you can pick out the one that suits your preference. STRAPS: The straps take the weight and pressure in. The heavier the load, the more pressure there is. And if these straps are durable enough, it would definitely wear out and snap. That’s why it is significant to inspect how these straps are made and carefully sewn. You need heavy-duty and high-quality straps for a heavy load. Choosing the best gym bag that will comply with your storage needs might get a little tough. With the overwhelming options on the market, you’ll definitely get drowned by these tons of choices and be caught between what you need and what you want. Hence, it is essential to consider the material, storage capacity, the style, and the additional compartments. Our guide and roundup provide you all the topnotch gym bags you can ever find on the market. Hope this helps you find the perfect bag!